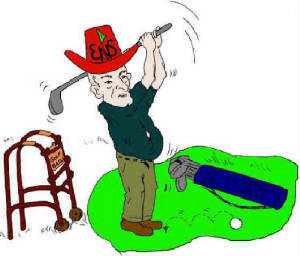 We want to welcome you to the Eastern Nebraska Senior Golf Association. Our organization has been around since 1987 and has grown throughout the years. We were few in number when we first started, but today we have over 400 members that are 55 years and older. Feel free to browse our site… and we would love to have you be a part of our association! Check out local golf courses and what the weather is going to be like! We invite you to browse our site. If you have any questions you can e-mail: rogdnelson@aol.com . Our members are more than happy to answer any questions you may have about the organization and how you can join.